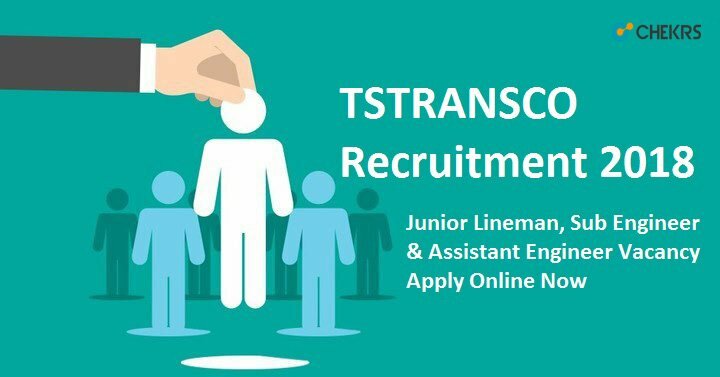 TSTRANSCO Recruitment 2018: The prestigious institution of Transmission Corporation of Telangana Limited (TSTRANSCO) has released a notification regarding the announcement for Government Recruitment. There is requirement of multiple posts of Junior Accounts Officer and Junior Personnel Officer. The applications forms Last Date will be 25th September 2018. For the TSTRANSCO Recruitment 2018 candidates from the all graduation can check out the information such as the detailed notification, eligibility, selection process and the TSTRANSCO Junior Accounts Officer Application Form submission details. Educational Qualification: B.A. / B.Com / B.Sc. Against the name of each post, there will be application form submission link. Enter the details as asked in the online application form. Upload the scanned copies of the required documents for the post. The details of the examination center will be known to the candidates through the admit cards. It will be easy for all to take the follow up of the admit card by allowing the notifications through the updates provided by jobs.chekrs.com. If you have any doubts about TSTRANSCO Recruitment 2018, leave it in the comment section and we will get back to you.